Yesterday, I took part of in a seminar at the Military University of Technology (WAT) in Warsaw, when the first mock-ups of the new Polish assault rifles were shown. 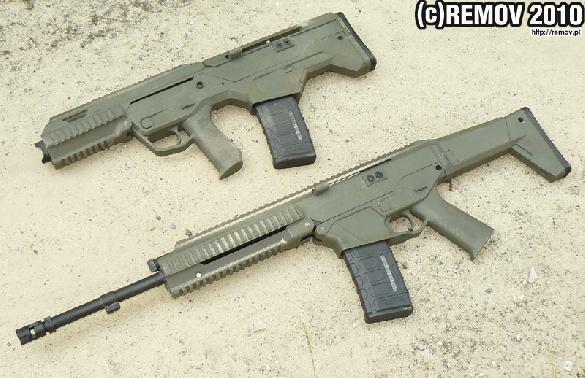 They are created under the project called MSBS-5,56 (Modulowy System Broni Strzeleckiej kalibru 5,56 mm - Modular Firearms System 5.56 mm Calibre) consist of classic and bullpup design assault rifles based on a common receiver (sic!) 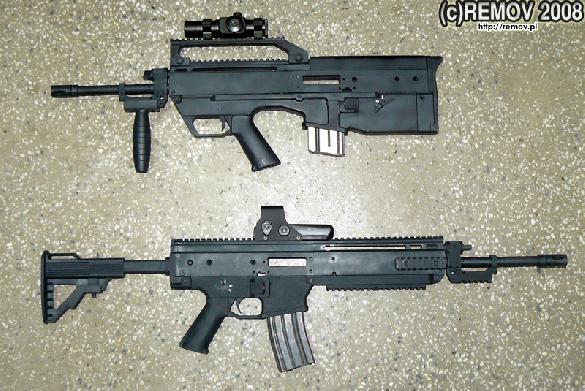 in four types: carbine, assault rifle (406 mm/16 inch barrel), sniper rifle, light machinegun. The first prototypes will be shown in December 2009. 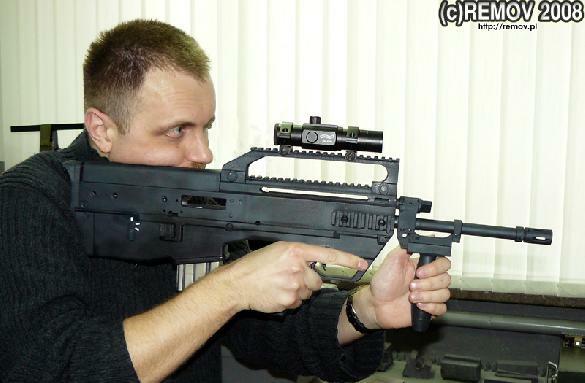 In the future it may be a succesor of the Polish Beryl assault rifle.